and feature a professional build-quality. Introducing the Performance Series LowPro kit. The USA-made set incorporates a unique, integrated bi-pod design for stability and optimal functionality. The stand acts as a bass drum stabilizer and tom stand, giving players the ability to set up quickly and fit into tight spaces. 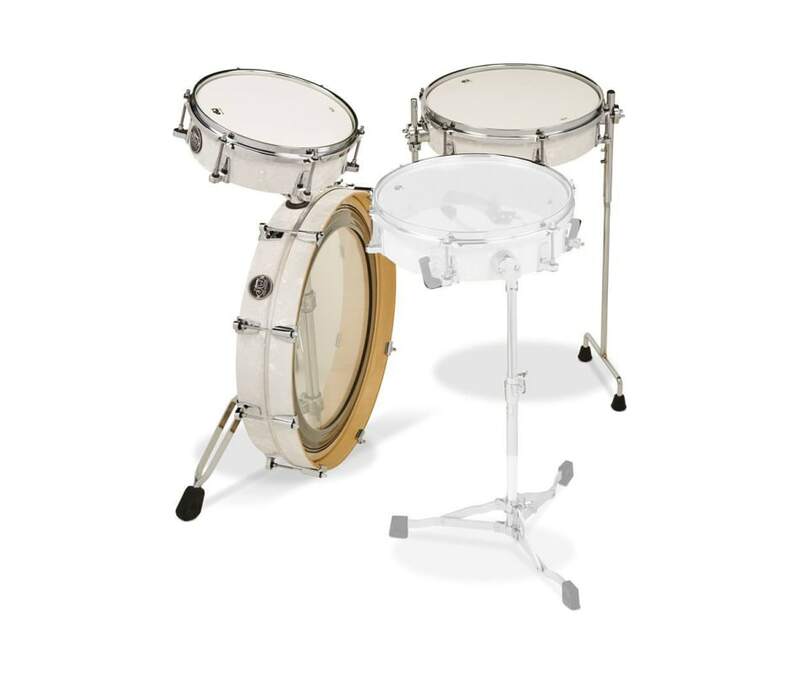 The kit comes in a three-piece configuration in durable White Marine FinishPly. A snom (convertible tom with snare wires) can be added and a deluxe rolling carrying case is available separately.